South Sinai Governor Khaled Fouda met Tuesday with head of the Housing and Building Research Center (HBRC) Omaima Salah el-Din and representative of the Arab Contractors Company Yasser Mahsoub, as part of the continuous follow-up for the restoration project of the “Om el Sid” plateau. The plateau is located in Sharm El-Sheikh, and the meetings aim at protecting it from the dangers of avalanche. The project is implemented by the Arab Contractors Company, under the supervision of the Ministry of Tourism, represented by the HBRC, and in coordination with Ministry of Environment. Salah el-Din praised the plateau’s restoration work, noting that the governor is providing the EGP 80m needed for the restauration. She further demand that the company responsible for the project consider additional work in the commercial market of Sharm El-Sheikh, and not just the plateau. The restoration work is in full effect in order to maintain the “Om el Sid” plateau’s edges, which are affected by housing and tourism development projects without a sanitation network, said Mahsoub. Due to the lack of a sanitation network, water leaked onto the limestone forming the plateau, causing cracks on its edges and the possibility of forming small caves inside it in the future, which would lead to landslides and the fall of the built facilities, Mahsoub added. He further noted that the current maintenance work overlooks the seven most important diving spots in Sharm El-Sheikh, which requires protection services to avoid any back-fill remains or falling rocks affecting these sites, adding that the project cost EGP 12m until now. The project falls under the direct supervision of the General Authority for Natural Reserves in Sinai, affiliated of the Egyptian Environmental Affairs Agency (EEAA), to ensure the protection of significant sites, Fouda affirmed. 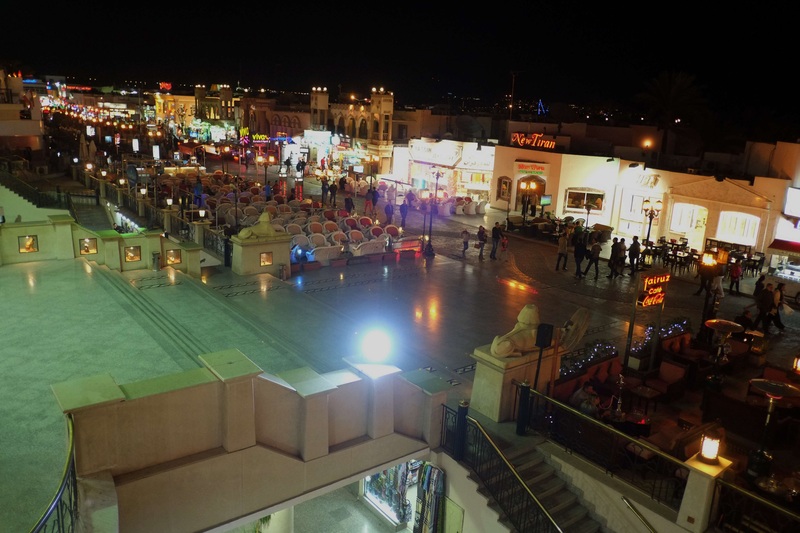 A continuous follow-up takes place with the hotels located in this region, especially pools, to avoid any water leakage after implementing a sanitation network in the plateau, said Head of Sharm El-Sheikh city authority, Mahmoud Al-Soulaya. Furthermore, Fouda discussed in the meeting the idea of establishing a touristic passage down the plateau, passing by the beach, allowing citizens and tourists to have free access.